Chief Executive Officer of the BAS, James Paul. 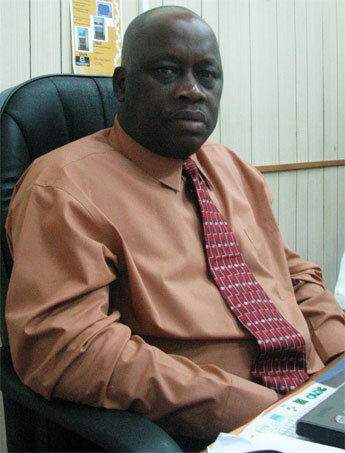 The Barbados Agricultural Society (BAS) is closely watching the ongoing negotiations for the new Canada-CARICOM trade and development agreement, as it is concerned about the potential devastating impact that such an agreement can have on the regional and local pork industries. Chief Executive Officer of the BAS, James Paul, said that in terms of agricultural products, Canada is a big producer of pork and he is maintaining that the region has to be really careful that a situation is not created where the pork industry is severely compromised. “I do not just mean Barbados, but the region generally. Because they have a larger pork industry than us, the costs are lower and that is one of the areas we have to be very cautious about because we cannot compete with cheap Canadian pork. We have a lot of people today who still depend on pork for a living, it helps to supplement their incomes and we have to recognise that,” Paul said in an interview yesterday with the Barbados Advocate at the BAS headquarters. His comments come against the backdrop of the recently concluded first phase of negotiations, the last round of which was conducted here in Barbados. The new agreement will replace the more than 20-year-old CARIBCAN agreement, which assured the region of trade preferences in Canada. That accord, however, goes against World Trade Organisation rules and is due to come to an end in 2011. Meanwhile, referring to the Economic Partnership Agreement (EPA) with Europe, Paul said that one of the big disappointments in terms of the EPA is that the development assistance that was supposed to be made available to the region has proven to be very elusive. This, he said, is partly because the region itself has not demonstrated the kind of absorptive capacity and the ability to access the development assistance that is supposed to be there. “As a matter of fact, I understand that in some cases we are in danger of losing some of that development assistance because we are not able to access it in a timely manner... and that should be taken into consideration in terms of trying to craft any new trading relationship or trading agreement with Canada,” the BAS suggested. The BAS official noted that even within the business community, there is sometimes that lack of the necessary capacity and skills, especially in the area of project developments. Too many, he said, are focused on trying to deal with issues that are in front of them now, basically “outing fires”. However, he maintained that they also have to be able to step back and think strategically so as to conceptualise projects that can stand up to scrutiny.